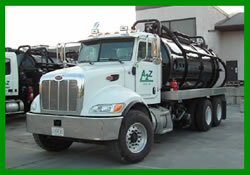 A2Z Environmental Group provides a safe environment on the job site and in surrounding areas. Our Health and Safety Compliance Officer, along with our Health and Safety Committee, oversees all field operations. In addition A2Z Environmental Group senior-level officers and an outside consultant conduct independent assessments of job site health and safety issues. This monitoring program is designed to be independent of field operations, and Health and Safety Officers have full authority to issue stop work orders for non-compliance with regulations. 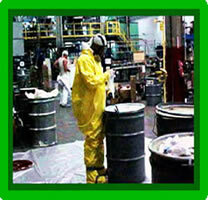 Remediation and abatement jobs follow guidelines set forth in our comprehensive Health and Safety Plan. Supplemental, site-specific health and safety plans are developed to address work to be performed under each job order. Input from technical, operational, engineering, and managerial teams ensures that health and safety parameters are feasible and achievable for each project‟s scope of work. The implementation and enforcement of these plans are the responsibility of the assigned Health and Safety Officer. If a questionable or unclear situation arises, the officer is empowered to suspend all work activity associated with the concerns until the situation is resolved. A2Z personnel maintain a safe and healthy work environment through continuing application of standard health and safety procedures, which comply with applicable provisions of OSHA regulations 29 CFR 1910 and 29 CFR 1926 as well as applicable state laws. All A2Z field personnel (as well as our subcontractors and teaming partners) who perform hazardous waste and emergency response operations train for a minimum of 40 hours as specified by OSHA Hazardous Waste Operations and Emergency Response, (HAZWOPER) standards. At least one (1) supervisor for each site receives an additional eight hours (minimum) of specialized training in hazardous waste supervision. All employees participate in regularly scheduled safety meetings. Established protocols for protection and control are followed and enforced at each job site. These include the following: A2Z Environmental Health and Safety Manual; OSHA and State equivalent regulations and guidelines; National Institute for Occupational Safety and Health (NIOSH) guidelines; Conference of Governmental Industrial Hygienists (ACGIH) guidelines; Risk Assessment Guidelines from the U.S. Environmental Protection Agency, U.S. Department of Transportation, U.S. Department of Labor and similar state agency guidelines. All employees driving company vehicles regulated by the Department of Transportation (DOT) must complete DOT driver qualification requirements. These employees must comply with all DOT, state and company regulations and policies including, but not limited to, driving records, insurance requirements and driver‟s daily logs.